I’ve no idea what the collective noun is for the twelve Porsche 911 GTSs parked outside the hotel in Pasadena, California. Whatever it might be, it’s an impressive sight. 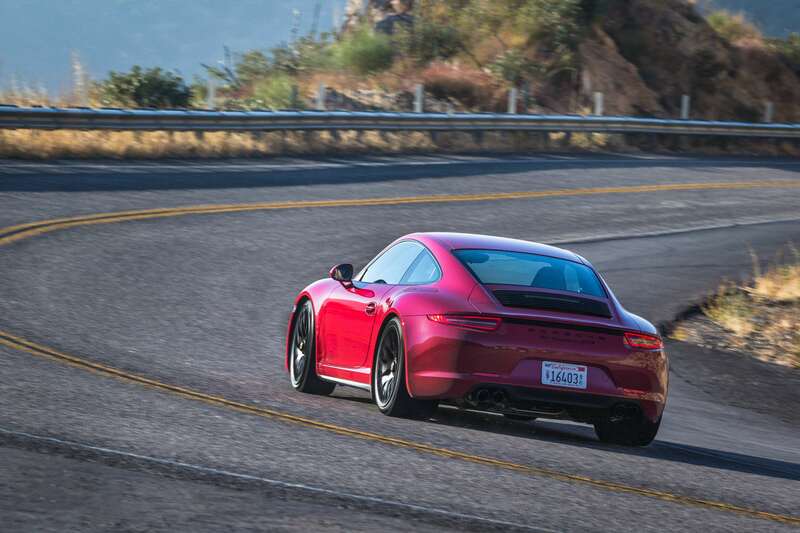 There’s only one here that we really want though, the rear-wheel drive, manual coupé – the ‘real’ GTS according to the Porsche man I chatted to at dinner the evening before. Being lucky enough to be on an early group, made up of mostly American journalists, securing the manual isn’t so tricky. There’ll be a lot of politicking and toys out the pram when the full UK group arrive a day later. S-GO 4037 is the car everyone will want to drive. The GTS badge arrived on the 911 with the previous 997 model. Late in the day, the previous GTS something of a run-out special. And a particularly high point, too. Its success, and Porsche’s seemingly endless desire to offer the 911 in as many variants as possible sees it arrive on the 991 early in the lifecycle. The GTS badge sits on the rump and doors of the coupé in two and four-wheel drive in manual and PDK auto, and less comfortably on the cabriolets with a similar choice of drive. Real GTS acquired, I pointed it north of Pasadena towards Willow Springs raceway; a backwater track that’s little changed from when the planes at the nearby Edwards Air Force Base were piston engined and Chuck Yeager was still dining out on his recent sound-breaking exploits. The route there takes in California 2, a road that has a line that looks not dissimilar to how I imagine Yeager’s heart trace did when he was sonic booming though the air. The GTS is in its element here, Sport button pushed – Sport Plus left off so heel-and-toe blips are authentic, rather than automatically created – the GTS following the switchback, climbing route at speeds that would have the California Highway Patrol happy to provide us bed and board for the foreseeable. 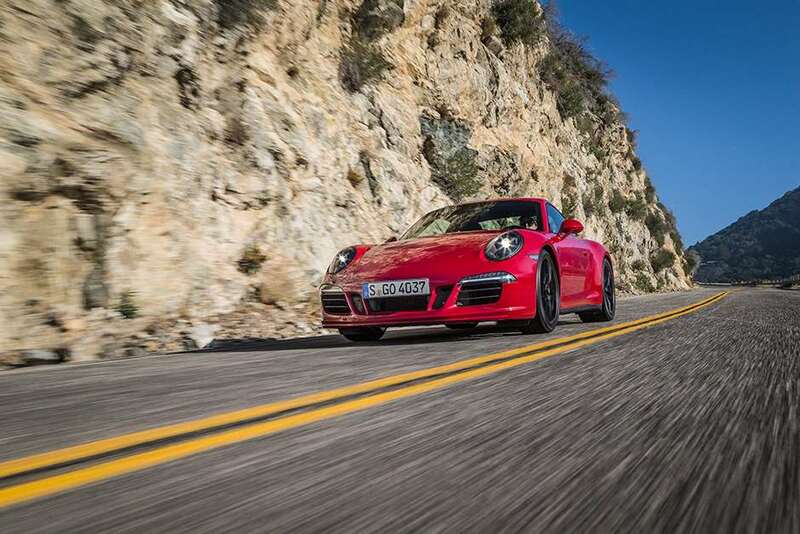 A standard Carrera 2 would engage and involve here, but the GTS, with its clever spec-sheet selections, and unique tweaks adds to the experience markedly. Essentially it’s a Carrera 2 with an optional powerkit and some styling changes. There are revisions to the dampers, half-inch wider tyres front and rear and some acoustic revisions to make that 3.8-litre sound even more charismatic. The power grows to 430hp, up 30hp from standard, torque of 324lb ft at 5,750rpm underlining that this is an engine that thrives on revs. The steering feels more eager to turn in than standard Carreras, while there’s a modicum more feel at the rim itself. The ride suffers slightly over expansion joints and there’s a slight increase in road noise on rough surfaces, but it’s well worth the trade-off for the greater control. The brakes, in typical Porsche style, are utterly resolute, with good pedal feel and huge, repeatable retardation. The most significant revision though is the gearshift. The manual seven-speeder, criticised for its inaccurate, sometimes obstructive shift has been worked on. There’s less friction, the gears slipping in with more ease and quicker, the changes enough to no longer make the optional PDK the default choice. That’s a good thing. A very good thing. 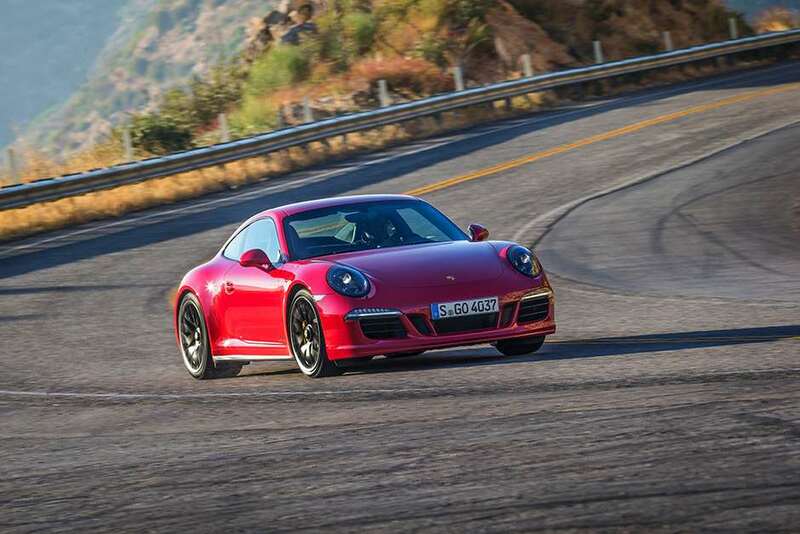 Indeed, the entire GTS is a good thing, its mechanical grip, greater eagerness to turn in and that new improved shift mated to the always impressive engine make for a compelling package. So it proves at Willow Springs, the GTS demonstrating itself as perhaps the most complete 911 you can buy. Good as it is just £9000 more allows you to change that S after the GT for a 3 though, and if you like the GTS, you’re likely to love the GT3.